The best characteristic of Montanejos is its health contribution. Its water has health properties and is highly recommended for cases of digestive and kidney-related illnesses. People can take full advantage of the more than fifty springs, with high quality water, in its spa, located in a municipality amid typically inland weather and in the heart of nature. Take N-234. Take the Jérica exit, go until you reach Caudiel. Take the CV 195 to reach the municipality. From Teruel, take the Barracas exit towards the Arenoso reservoir, driving though CS-V-2131 and CV-20 until getting to Montanejos. Another alternative route is to take N-234, getting off the Rubielos de Mora exit towards Puebla de Arenoso, over-passing the Arenoso reservoir and getting to Montanejos by means of the CV-20. From Castellón, take CV-10 towards Onda. 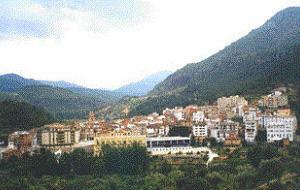 In this municipality, take CV-20 towards Montanejos.